BT and 3 are asking us to “terminate the rate”. The rate in question is the mobile termination rate (MTR) of 4.7p/min that customers must pay when calling a number on a different mobile telephone network, and the two companies have come together to launch a campaign to get Ofcom to drop charge to 1p/min or to ditch it entirely. At a press conference this morning, 3 CEO Kevin Russell spoke of a “price floor” in the industry keeping consumers from the benefits of “truly unlimited call packages” both with BT and mobile operators across the board. They’re asking the public to visit the campaign website to understand this hidden charge they’ve been paying for all these years and sign up to make sure that reforms are made. MTRs were initially put in place to help the mobile companies pay for the set up of their infrastructure. The cost would be incurred by BT, with the majority of calls coming from landlines all those years ago, and subsequently passed on to us. But the masts have long been built and the Big Four mobile operators well established. They don’t need the 4.7p/min any more but they certianly enjoy its benefits. Last year, they collected a total of £750m in MTRs – money directly from our pockets and money, according to the Federation of Small Businesses, that could have been spent on low cost items in UK shops helping tradespeople weather the recession. 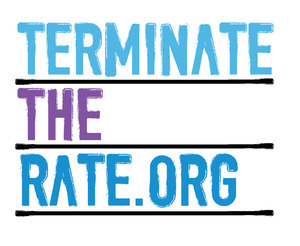 The European Commission asked Ofcom to look at the termination charges on 7th May this year and by supporting Terminate the Rate you can help apply the pressure. BT currently chargers the mobile networks just 1/15th of that 4.7p/min in return and 3 paid £200m in MTRs to the Big Four over the last three years. On the one hand, it should be no surprise that it’s they who are championing this campaign, but, when the real cost of handling calls from another network is closer to less than a penny, it’s really in all users’ interests to stop the con. So, head on over there – just as soon as the site has a little more to say than “OK” – and do the right thing, and in the mean time vent your spleen in the comments below. How does it make you feel?